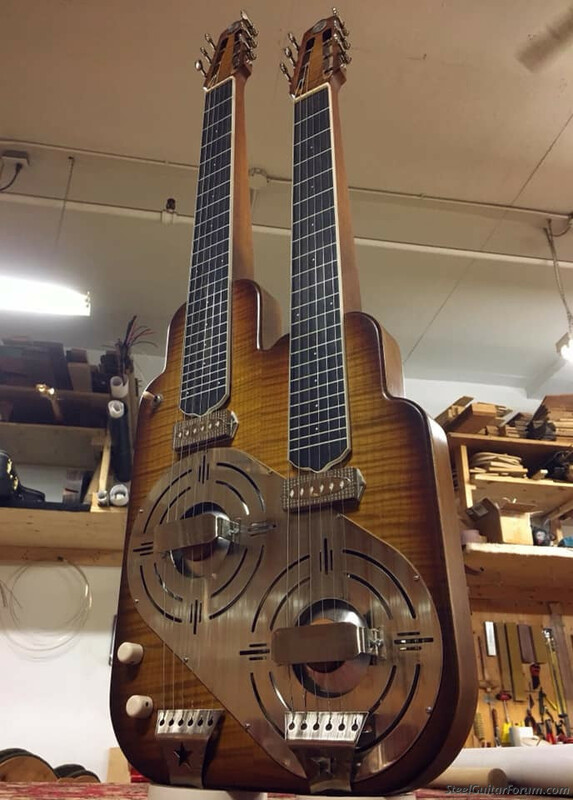 Lenny Robert's reso-lectric double neck guitar. 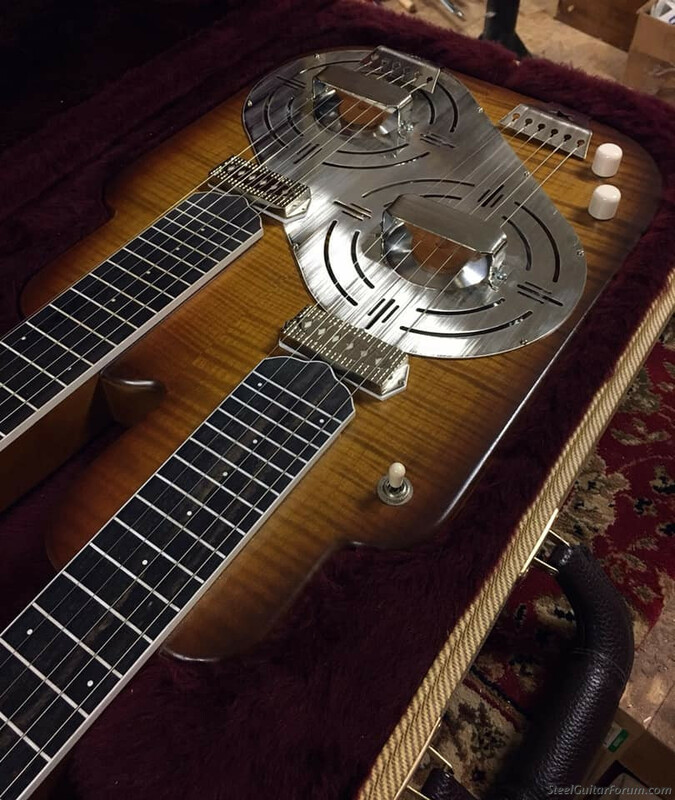 Topic: Lenny Robert's reso-lectric double neck guitar. 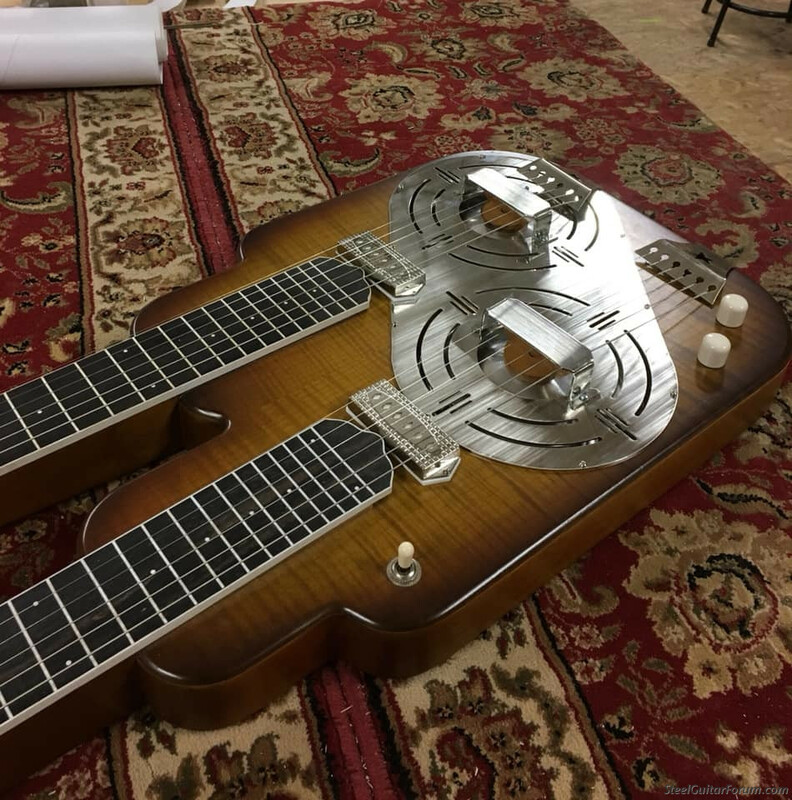 If you’d told me a year ago that early 2019 would see me design and build a double neck/double resonator, lap steel guitar...I probably would have laughed it off. About ten months ago, I received a phone call from Charly Price explaining in detailed form how he’d lost mobility in his left hand due to a devastating table saw accident. This rendered his career as a musician virtually obsolete for several months. After multiple operations and physiotherapy sessions he re-negotiated his relationship with the guitar by resting the instrument on his knees while sounding notes with the help of a small bottle of whiskey (used as a slide). Open tunings were his new salvation and he adapted most of his repertoire to open E and open D minor, switching onstage between two guitars. That’s very cool! I wonder if he had considered a HipShot tuning device to get two tunings on one neck?